Long recognized for their resistance to deterioration, both cedar and redwood are suitable for a variety of interior carpentry applications and exposed, outdoor applications. Although the wood of both trees naturally resists pests and rot, they differ according to physical weathering characteristics and longevity. Lumberyards often recommend both cedar and redwood for the same building projects. If you learn about the weather resistance, appearance and cost of cedar and redwood, you can choose the right lumber for your project. 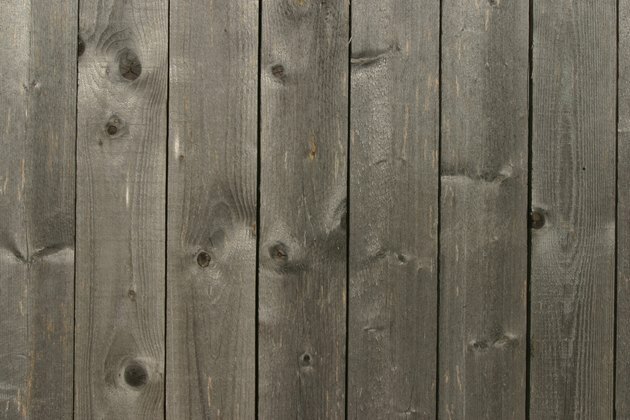 Popular for fencing material, untreated cedar weathers to a greyish silver. Redwoods naturally produce pest and rot resistant compounds that make the tree's flesh nearly immune to rot and insect damage. Thus, redwood is highly resistant to all types of deterioration, including repeated exposure to inclement weather. Notably, the oldest, center portion of the redwood, called the heart, contains more weather resistant compounds than the younger, outer portion of the tree. The redwood's heartwood exhibits the tree's famous red hues. The younger, outer wood, called sapwood, often features a combination of both white and red hues. Boards composed mostly of redwood sapwood often weather as quickly as standard construction lumber, such as fir. When purchasing redwood, remember that the heartwood is the most weather resistant portion of the tree. 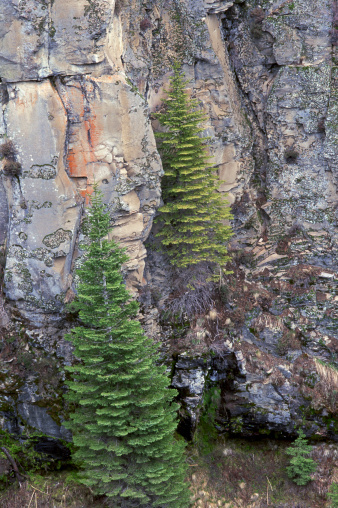 Similar to redwoods, cedars naturally produce pest and rot resistant compounds. Aside from certain regional varieties of cedar, such as aspens, cedar exhibits weather resistance similar to redwood. However, redwoods and cedars have notably different physical weathering characteristics. Whereas cedar's natural colors quickly fade to a dull gray, often within a couple seasons, redwood retains its natural coloring much longer. Redwood tends to cost substantially more than cedar, particularly all-heart redwood. While home improvement stores often offer cedar and redwood products side by side for similar prices, the shopper must note if the redwood product contains large amounts of sapwood. The presence of large amounts of sapwood often accounts for a low redwood price. Because of redwood's relative scarcity, all-heart redwood products generally command a higher price than similar cedar products. Both redwood and cedar are suitable for structural and decorative building projects. However, because redwood and cedar cost more than standard framing lumber, such as fir, builders typically reserve redwood and cedar for applications directly exposed to weather. Common applications of redwood and cedar include fencing and outdoor structures, such as gazebos, patio covers and arbors.